Water is the building block of life. ​For some, it’s easy to take water for granted..."it just comes out of the faucet anytime you want it." Yet around the globe, there are people who don’t have access to clean, safe drinking water. March 22, World Water Day, is dedicated to drawing attention to the water related issues that affect humans in almost every country. As created by the United Nations, the goal of World Water Day is to bring aide to people who are truly in need. Earth is the only known planet in our solar system that humans can live on. ​No other planet has oceans, Earth is also our only known planet to have bodies of liquid water on its surface and enough oxygen to comfortably breathe. 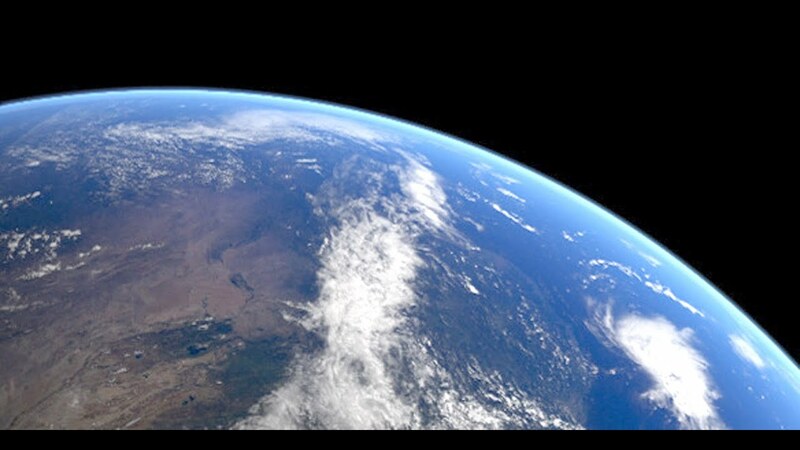 Because we have so much water, Earth is is also referred to as the Blue Planet.​ The oceans combined with the atmosphere makes our planet look blue from outer space. ​About 71 per cent of the Earth's surface is covered with water. 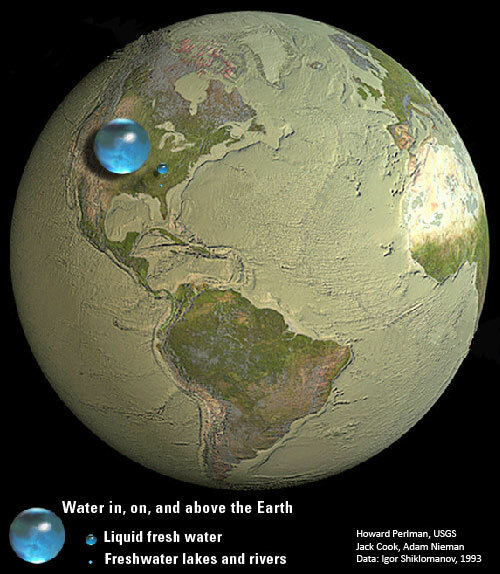 Earth is the only planet where water can exist in liquid form on the surface. Less than one percent of Earth's water is drinkable. Most of Earth's water is salty (~ 97%) and over 2/3 of Earth's freshwater is frozen. Earth is the fifth largest planet and the third planet from the Sun. What is potable water? Water that is suitable or safe for drinking. ​Water is not distributed evenly across the Earth. Water can be found in oceans, lakes, rivers, glaciers, underground (ground water), in soil and in Earth's atmosphere. A molecule of water can remain in the ocean for thousands of years. A molecule of water can remain in the atmosphere for as short a time as just a few days. ​on-line version of related topics. ​An estimated 780 million people live without clean, accessible drinking water. Drinking contaminated water can lead to a host of life threatening diseases. Although this may seem like a third world problem, Flint, Michigan showed us that water problems even plague the United States. Our wildlife also require access to clean water. Every year, countless animals die as a result of water pollution. 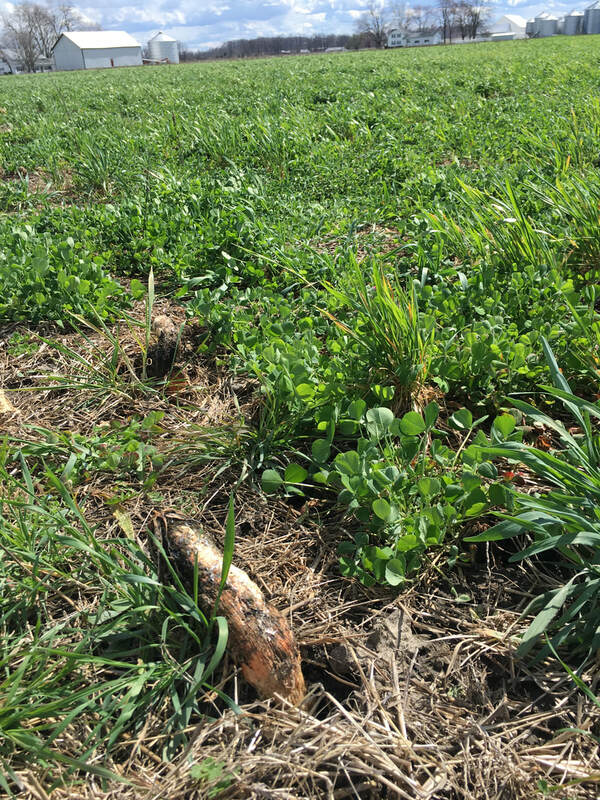 Pollution can occur in many ways, from physical litter to wastewater and chemical runoff, which causes the water to become toxic to the animals that depend on it for drinking and habitation. As temperatures drop and snow falls, many of America’s public lands transform into winter wonderlands while taking on a whole new "spectacular" personality. ​#MountainsMatter for Water: Think of mountains as the world’s 'water towers’, providing between 60-80% of all freshwater resources for our planet. Reliable resources indicate that glaciers in mountain ranges around the world are retreating and disappearing due to climate change. As many as 600 glaciers have disappeared completely over past decades, affecting water supplies relied on by billions living downstream. Five Thousand Miles of Wild; "It's More than a River, it's our way of life." In 2018, we celebrated the 50th Anniversary of the Wild & Scenic Rivers Act. We continue this celebration in 2019 as tribute to the 50th Anniversary of the Little Miami River being named a State and National Scenic River. ​​#MountainsMatters for Disaster Risk Reduction as climatic variations are triggering disasters. Avalanches, mudflows and landslides are tumbling downstream, stripping bare forests, flooding communities and populations. #MountainsMatter for Tourism: Mountain destinations attract roughly 15-20% of global tourism; these are areas of important heritage, knowledge and cultural diversity, . Such tourism has potential to affect or foster economic development especially in remote and isolated regions. Unfortunately, many mountain communities are not benefiting and still live in poverty. #MountainsMatter for Food: Mountain regions are important centers of agricultural biodiversity; they are "home to many of the foods that come to our table"...rice, potatoes, quinoa, tomatoes and barley. Sadly, such regions are home to some of the hungriest peoples in the world given a high vulnerability to food shortages and malnutrition; climate change is directly affecting mountain agriculture. #MountainsMatter for Youth: Despite magnificent landscapes, rural life in mountainous regions can be "tough", particularly for the youth; abandoning their villages in search of employment elsewhere has lead to an absence of young people. This directly increases labor shortages. Consequently, migration from mountain regions has lead to an increase in abandoned agricultural, land degradation to even forest fires. Consequently, many cultural values and ancient traditions are lost. #MountainsMatter for Indigenous Peoples: Many mountainous areas host ancient indigenous communities that often posses and maintain unique knowledge, languages and traditions. Mountain peoples have developed unique land-use systems; they posses a wealth of knowledge and strategies that have accumulated over generations, including how to adapt to climate variability. #MountainsMatter for Biodiversity: Half of the world’s biodiversity hotspots are concentrated in mountains where approximately 25% of terrestrial biological diversity is supported. Mountains are home to many rare wildlife such as gorillas, snow leopards, the majestic tahr and strikingly, beautiful plants such as orchids and lobelias. 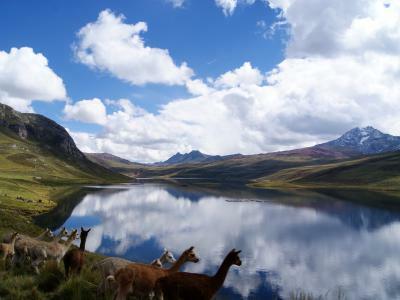 International Mountain Day is an occasion to create a large social movement that can bring mountain issues "at large". ​Few Lobelia flowering species extend into cooler temperate regions, generally known as lobelias. 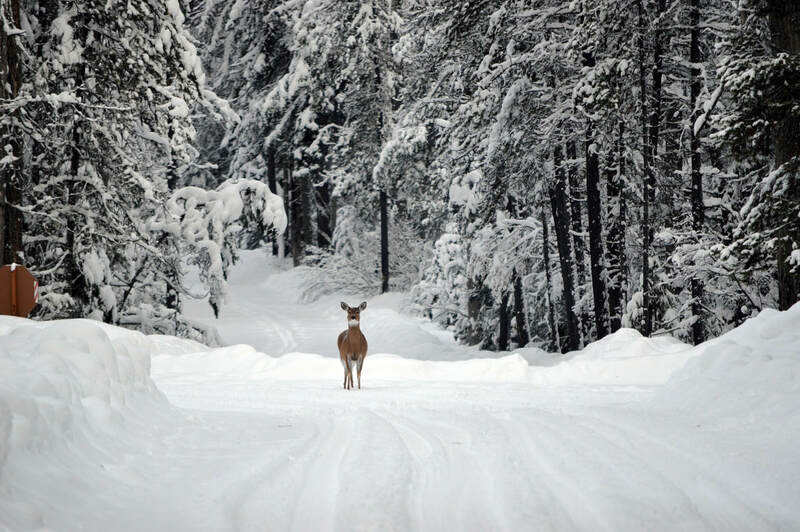 ​If you love snow, Mother Nature blankets the landscape in white at Glacier National Park. 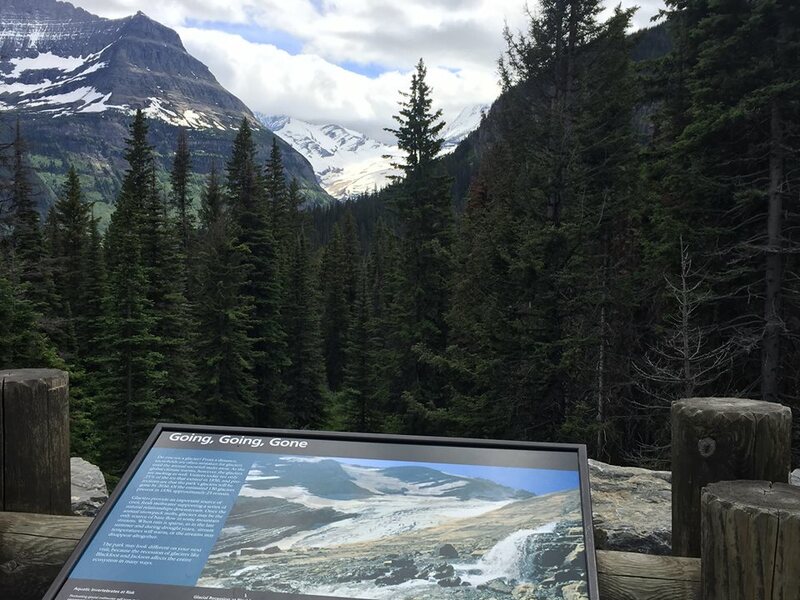 As the snow accumulates in Glacier, snowshoeing and skiing are among some of the favorite recreational activities in the park along with watching the wildlife come out to play. 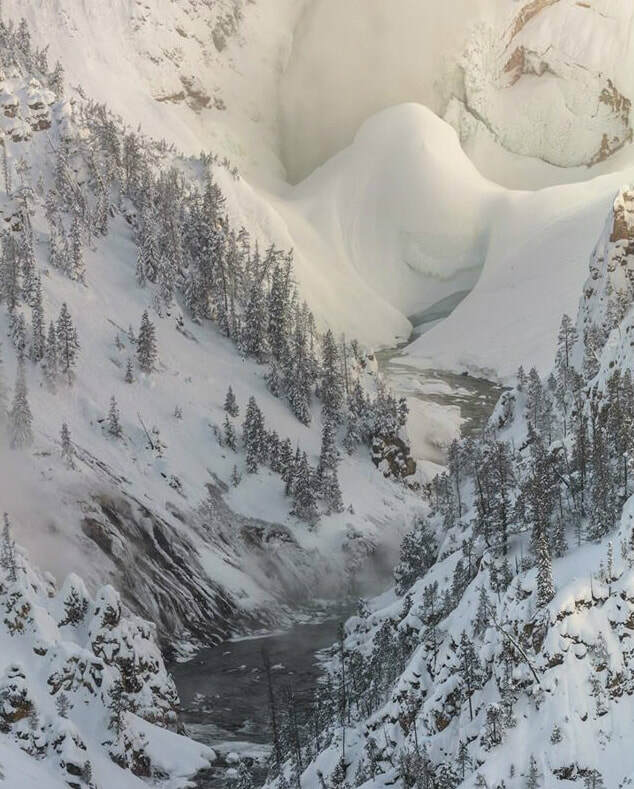 ​Winter at Yellowstone National Park indicates fewer crowds, frigid temperatures, and steaming geyser basins, hibernation or even migration. 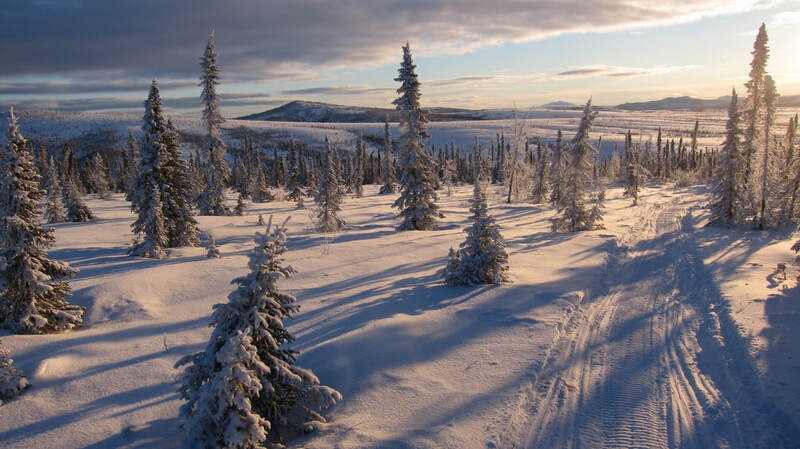 Skis, snowshoes and snowmobiles are often the primary modes of transportation as roads close, rivers and lakes freeze and snowstorms transform the park. One of the most amazing winter sights at the park is the ice dam at Lower Falls. Often growing over 100 feet tall, it’s known as an "astounding natural spectacle". 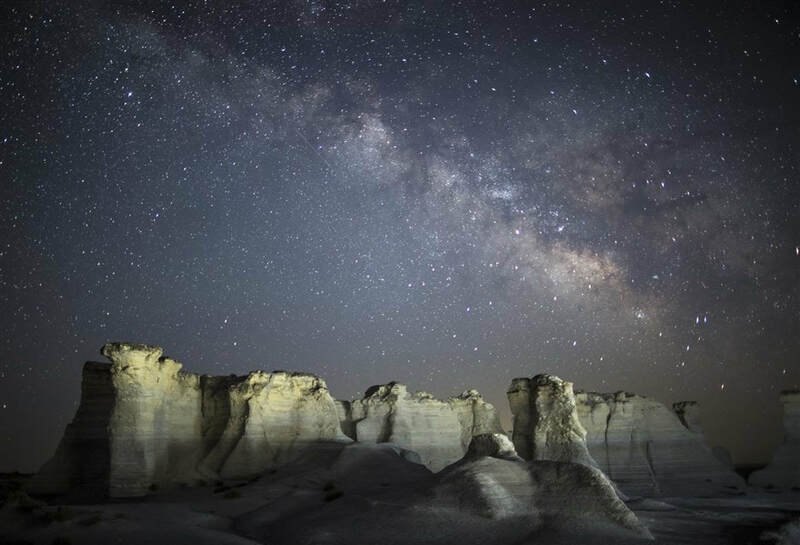 Starry Night: ​The Milky Way glows in the sky over a geologic formation known as Monument Rocks in Gove County, Kansas. The Milky Way is best viewed on moonless summer nights, far from the light pollution created by cities and towns. Astronomers believe our galaxy contains about 200 billion stars. Geologists create a basic unit called a formation to classify and map layers of rock. Thus, a formation is a rock unit that is distinctive enough in appearance that a geologic mapper can tell it apart from the surrounding rock layers; also, the rock formation must be thick enough and extensive enough to plot on a map. ​"Formations are given names that include the geographic name of a permanent feature near the location where the rocks are well exposed. If the formation consists of a single or dominant rock type, such as shale or sandstone, then the rock type is included in the name." - By Christine Wilkerson, Utah Geological Survey "What is A Formation?" Always test ice first before walking on it; never take chances when walking on ice. 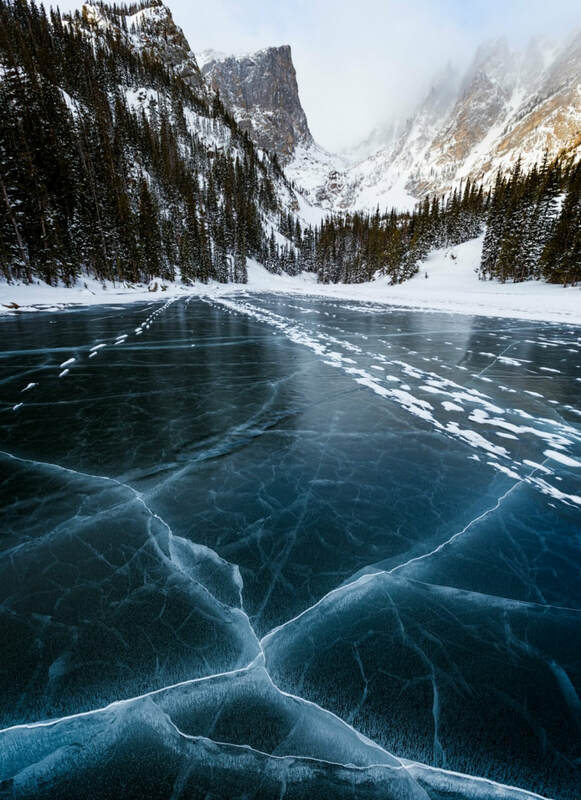 ​Rocky Mountain’s spectacular mountainous environments. Photo above by Kevin Keeler, Bureau of Land Management. Whether it is Spring, Summer, Autumn or Winter #ESCAPE the Indoors! REDUCES LANDFILLS: Recycling means "less waste"; this cuts down on the need for landfills and incinerators. PREVENTS POLLUTION: Extracting and processing raw materials leads to greenhouse gas emissions — recycling reduces this pollution. GIVES GARBAGE NEW LIFE: When you recycle used items, you create something new (which is pretty cool). Learn how reducing, reusing, and recycling can help you, your community and the environment by saving money, energy and natural resources. Recycling programs are managed at the state and local level—find information on recycling in your community. "Student project leads to 1st foam tray recycler in state"
"What began as a Little Miami middle school research project has led to a first-of-its-kind Styrofoam tray recycler in Ohio." Instead of sitting in a landfill for centuries, used Styrofoam school lunch trays are being converted to paving bricks. After undergoing a process called densification (short 10 hour process), the trays are converted into a single square brick that feels like glass or tile but is solid as a rock. Densification involves removing air from Styrofoam and using heat to melt it into a liquid resin that, when cooled, forms bricks from bundling multiple foam lunch trays. ​Little Miami is the first school district in the state of Ohio to use a StyroGenie machine to create a closed-loop recycling system for the foam trays used in some of the district’s cafeterias. Findings included that this machine presented a possible cost effective path to reduce the schools’ foam tray footprint by more than 90%, reducing trash volume and waste disposal costs. ​The StyroGenie is a thermal densification machine that reverses the foam manufacturing process by removing the air and returning the trays to a liquid resin. The resin is then cooled and formed into small blocks that can then be recycled and returned to a foam manufacturing facility to be made into new trays. The StyroGenie is manufactured by Foodservice Sustainability Solutions located in Marietta, Ga., and is used in other school districts around the country. Little Miami Schools Food Service Director, Rachel Tilford, purchased the StyroGenie machine for the Little Miami District after learning about its existence through a group of middle school students (members of a local First LEGO League team). 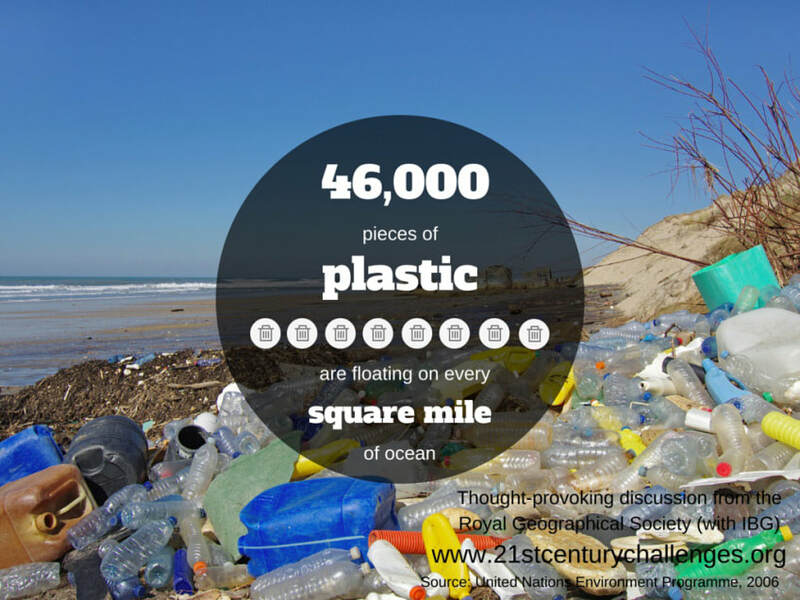 The team’s challenge in the 2015 competition was to identify a piece of trash to research and invent a solution to "help the trash problem". The students chose Styrofoam cafeteria trays; they researched ways on how to reduce waste in Little Miami lunchrooms. That’s when they found out about the StyroGenie. 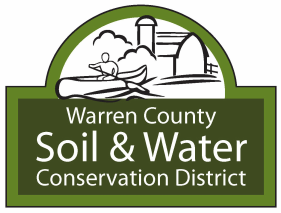 Thank you Mrs. Tilford for taking extra time to meet with Warren County Soil and Water Conservation District and with our LMHS Intern and Volunteer, Ms. Honigford. ​We also extend our gratitude to LMJH Principal, Mr. Ryan Cherry, for sharing more about the recycling efforts on a "school wide" basis. We enjoyed learning more about this phenomenal idea and how the idea came about.. We hope more districts can "get on board". ​"The school's trash output in the cafeteria has gone down from 52 to 15 bags a day." Bricks were painted and placed in the school garden for decorative purposes and for a walkway incentive. The city's street department was contacted for additional use for the bricks. "In addition to promoting a safe environment, the Styro-Genie shows students what is possible if they open up their minds." Lake Hills Elementary is also preparing kids to be problem solvers and creative thinkers as to solve some of the problems the world might have in the future. 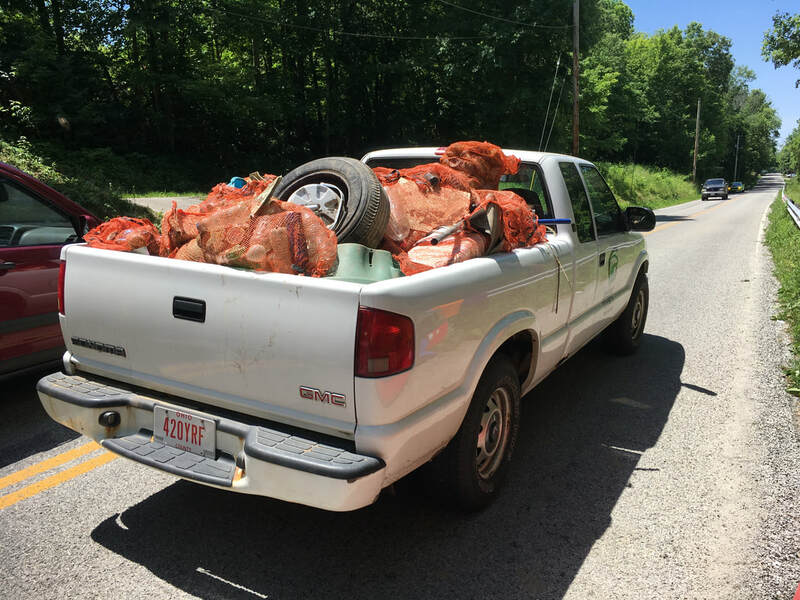 Grants: Ohio EPA's competitive grants provide opportunities for communities, local governments, businesses and non-profit organizations to establish and implement recycling, recycling market development, litter prevention and scrap tire recycling programs. 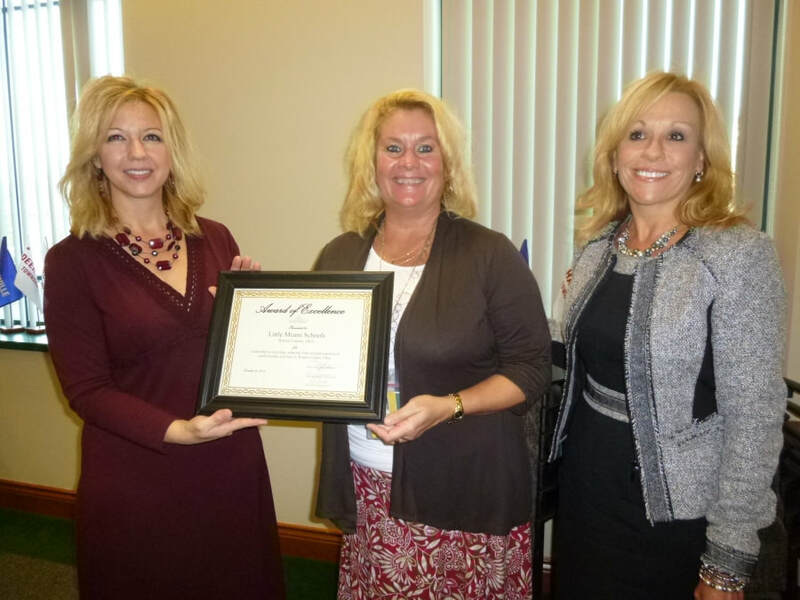 See what grants are awarded on an annual basis. Applications are generally available in October and the deadline for application is early February. 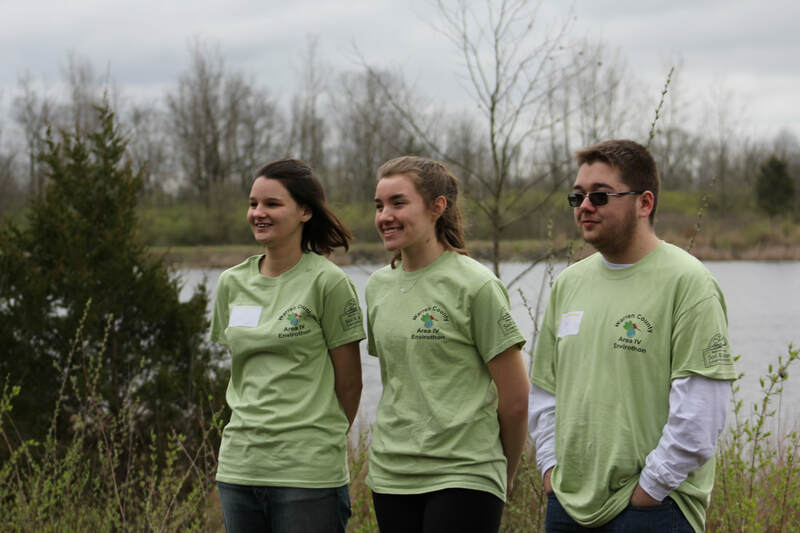 Additional Funding Opportunities: Ohio EPA has funding available for a wide variety of environmental projects such as helping communities plan and complete water and wastewater projects, promoting environmental education and reducing the impact of nonpoint source pollution. For more information about the funding sources available, click on the link below or view a summary of funding programs. ​Rural Action’s Zero Waste Pledge Program encourages local organizations to strive for zero waste. They help businesses and organizations achieve their goals by working one-on-one with them to identify waste that is being produced and ways to reduce it. The zero waste pledge shows the business is committed to using natural resources wisely, increasing its environmental consciousness, and supporting the local economy through waste reduction, recycling, composting, and reuse. 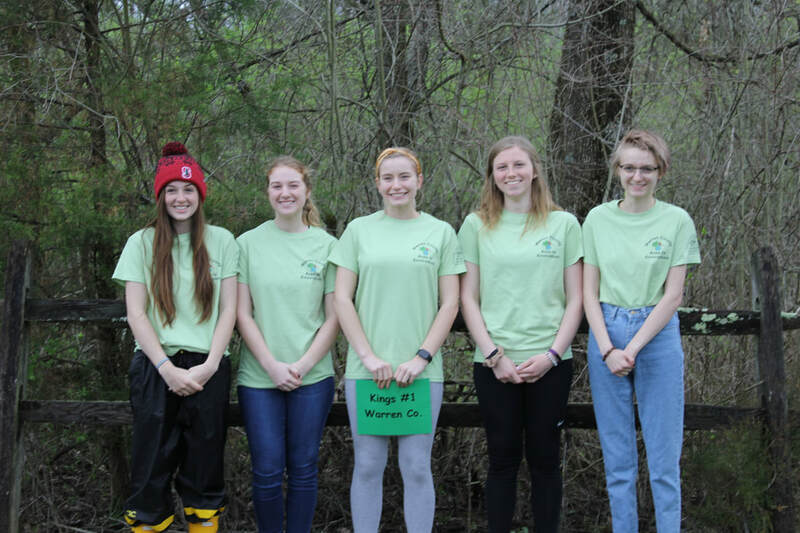 ​We are pleased to have Little Miami High School Senior, Ms. Honigford, intern and volunteer with Warren County SWCD and the Warren County Water Department. We wish Ms. Honigford the best in her endeavors as she further explores environmental engineering careers. 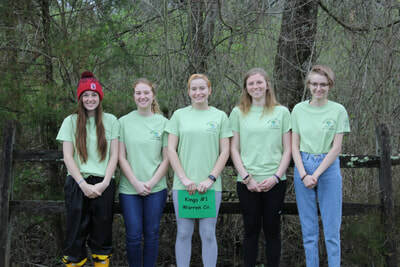 Featured Photo: Ms. Honigford is assisting WCSWCD with a Stream Water Quality Monitoring event at the Little Miami River. Summer is the ideal time to connect with nature or #EscapetheIndoors. During this Great Outdoors Month explore different activities that you can enjoy outdoors. Enjoy planing a fishing, boating, camping, hiking or even biking adventure! of parks​over the summer. Follow #GoFishingInParks. Roughly ​65% of our nation’s drinking water comes from rivers and streams. Toxins that contaminate water can harm the human body, meaning that "good health starts with good water chemistry". ​The excitement was contagious as the students gathered on the morning of April 24th for the opening of the 2018 Area IV Envirothon, cheering the professionals who had prepared the tests that students would be taking a short bit later at the testing sites. Not even the threat of rain, which thankfully never amounted to more than some misty conditions and a few drops here and there, dampened enthusiasm. Students and teachers who are veterans of the event know to dress for the weather. The Envirothon offers a unique opportunity for students to learn from professionals who work in different aspects of natural resources conservation. The 2018 Area IV Envirothon was hosted by Montgomery County. 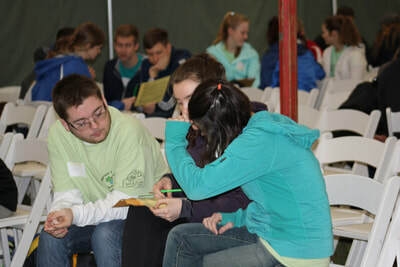 Each year, a different team of SWCDs plan and host the event. 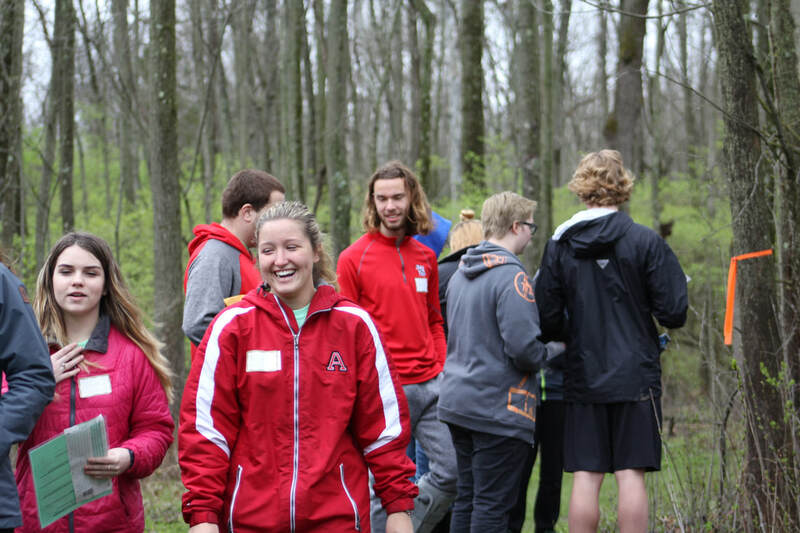 This year, the Montgomery and Miami SWCDs collaborated to host the event at the beautiful and diverse Possum Creek MetroPark. Possum Creek was a perfect fit, with its mix of high quality habitats all situated in close proximity to one another. 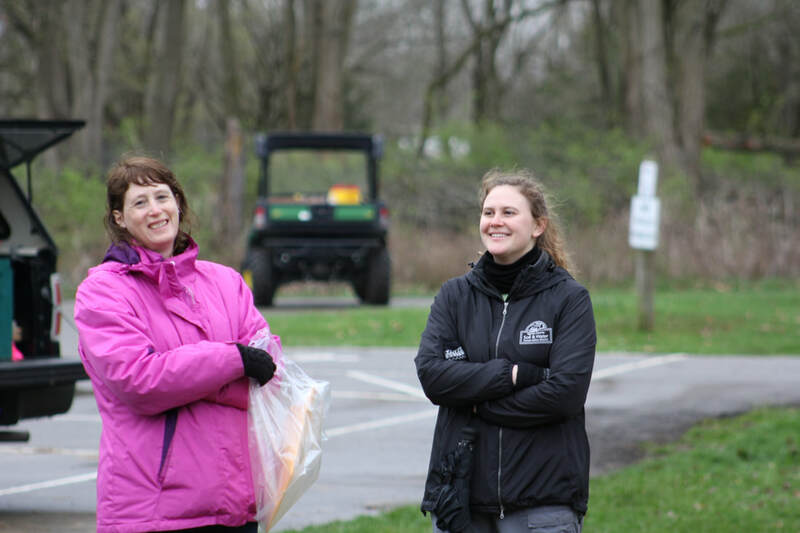 The hosting Five Rivers MetroParks staff were very accommodating and worked with the committee closely to make sure the contest had what was needed and flowed smoothly. 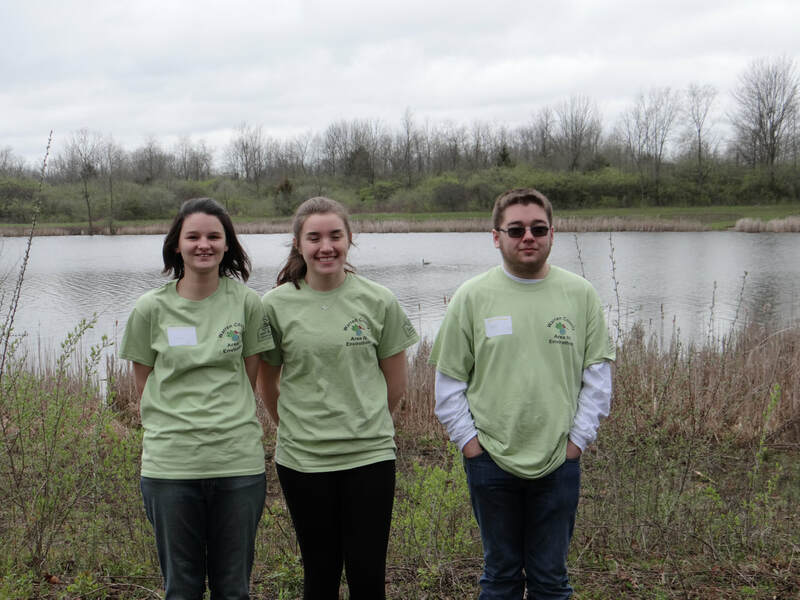 Major sponsorship for the Area IV Envirothon comes from Cargill, Inc., Honda of America and the 18 Soil & Water Conservation Districts in Southwest Ohio. 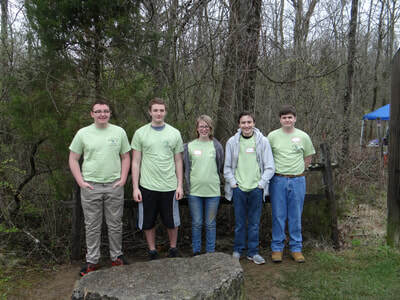 Test writers were professionals who represented Five Rivers MetroParks, the Miami Conservancy District, the Natural Resources Conservation Service, the Ohio Department of Natural Resources, and the Ohio Department of Agriculture. The top scoring teams for 2018 were from Centerville (1st and 3rd), Beavercreek, and Russia High Schools. The top four teams from the event advance to the Ohio Envirothon, where they will compete with top teams from the other four areas in the state. 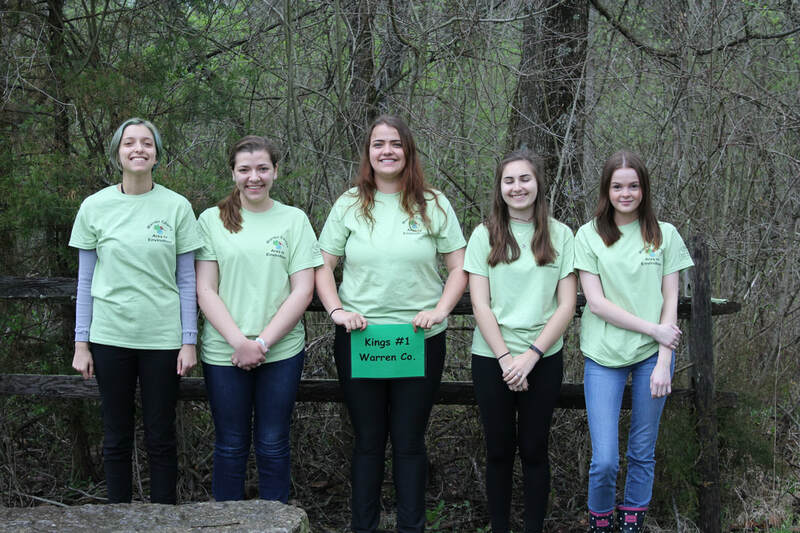 The winning team from the Ohio Envirothon then advances to the North American Envirothon, which in 2018 will be held in Idaho. This event is a true example of many groups working together to provide a wonderful opportunity for students to learn through experience! These contests are open to any Warren County schools. If you have a school that would like to participate or learn more, please contact Warren County SWCD Education Specialists Melissa Proffitt or Marta Farrell. High School students across the state compete on the local level at one of the five Area Envirothons. 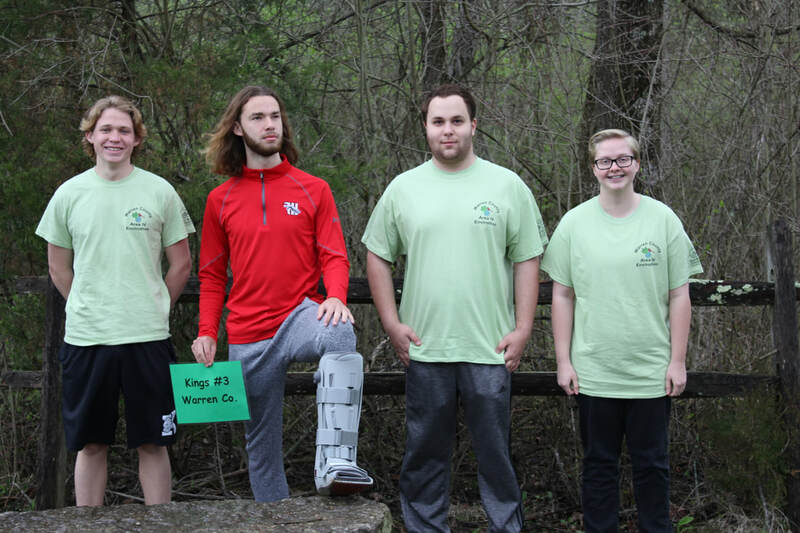 The top four teams from each Area Envirothon go on to compete at the state competition held each year in June for the title of State Champion. The State Champion from Ohio will compete at the NCF Envirothon held annually in North America. 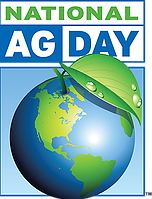 Agriculture, Soil Health, and President's Day! While our first President of the United States is well known for many contributions to shaping our country, one not-so-well-known achievement was that of being an agricultural pioneer. 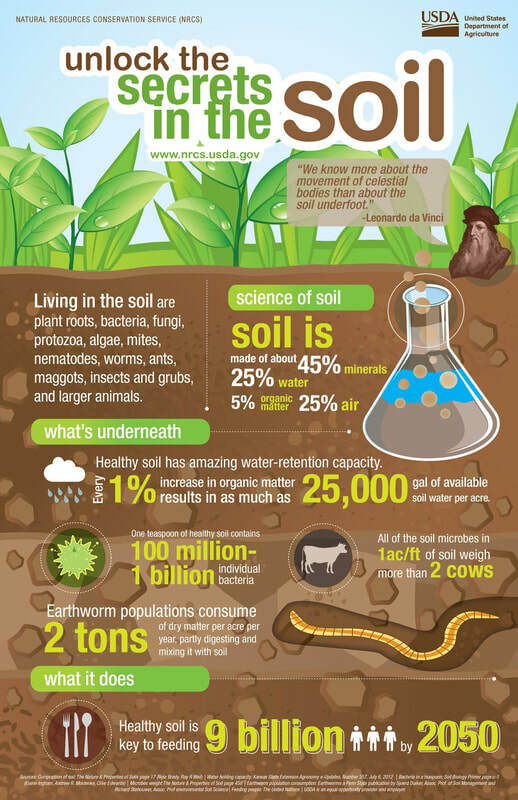 He grew a plethora of crops and tailored his growing based on results obtained from different soil types on the land. 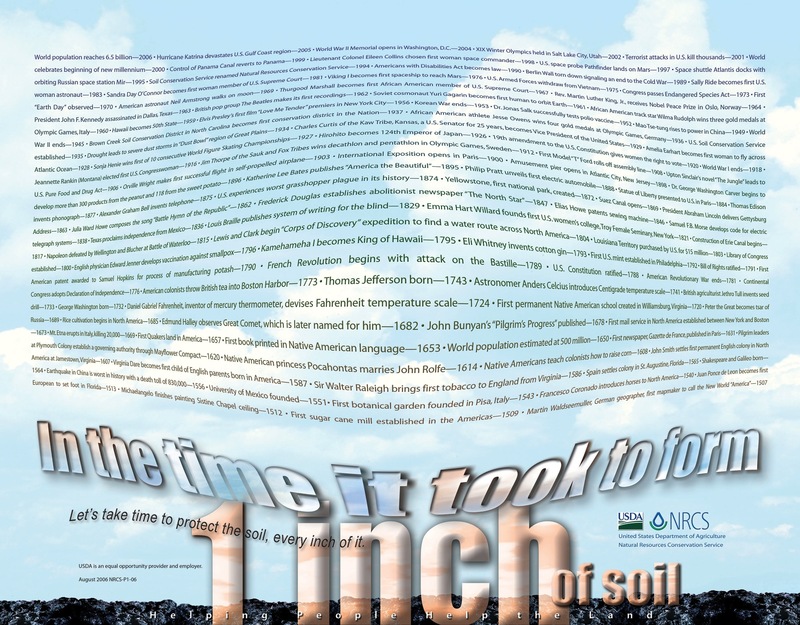 He also was a staunch believer in the utilization of compost to enhance and enrich the soil. 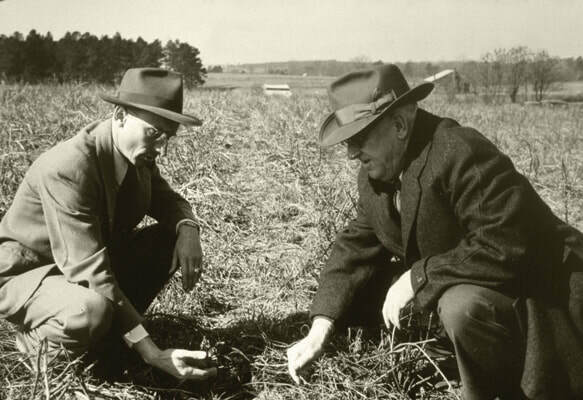 Washington experimented with crop rotation plans, and sought to educate others on the importance of soil health. 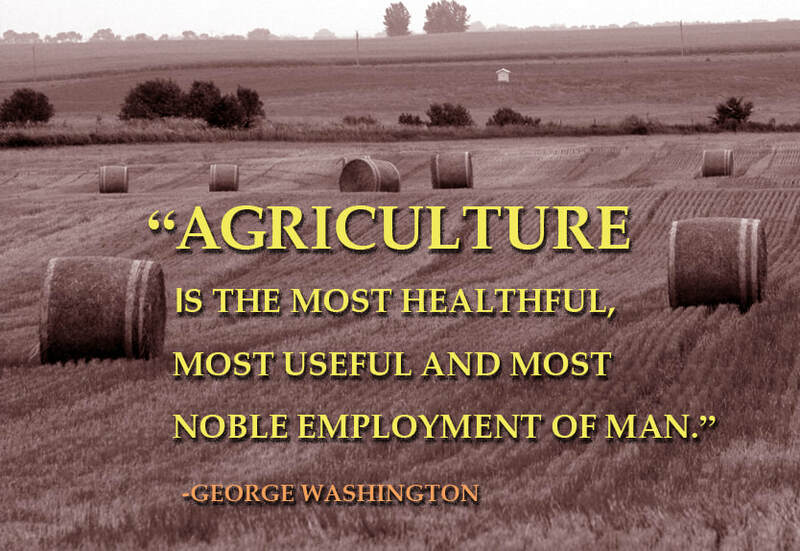 Washington’s accomplishments in the field of agriculture were so highly respected that he was elected to honorary membership in the Philadelphia Society for the Promotion of Agriculture, the first American organization devoted to agricultural improvement. Today it is appropriate to celebrate George Washington as one of the first conservationists of our country!